You may remember that last Friday, I made the decision to create a restaurant style meal each Friday night. I had the week to think about it and ponder over what was in the fridge and freezer. This what I came up with. Yes…. but. 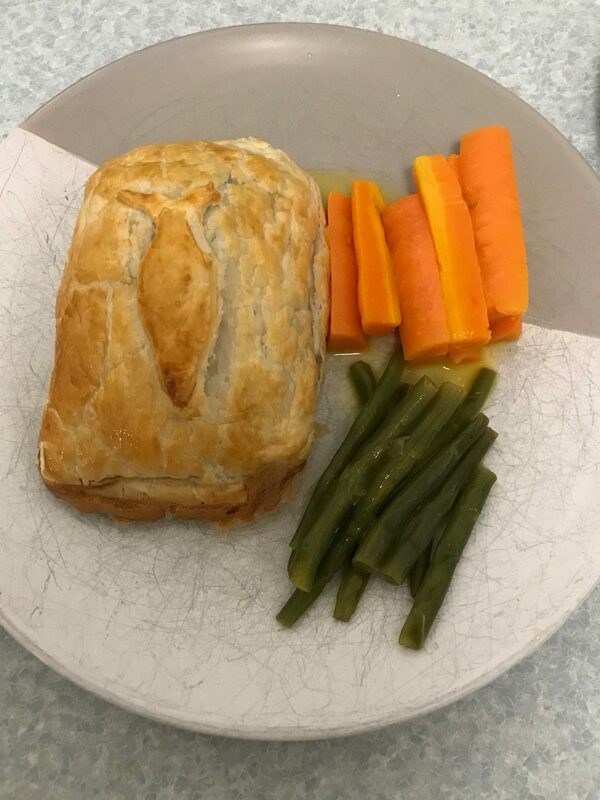 The pastry did go a little soggy, so if I was do it again, I would place baby spinach leaves on the pastry to try and combat some of the moisture. It would have been nice with some flaked almonds added to the vegetables too. 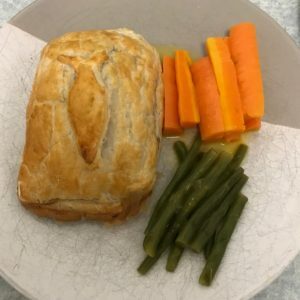 Remove the Pastry from the freezer and allow to thaw. sautee until soft and fragrant. Spoon over the mushroom mixture and drizzle over any pan juices. 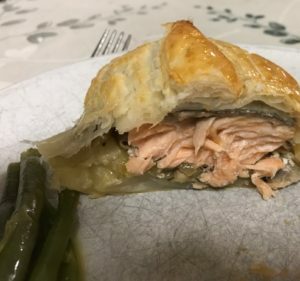 Fold over the Pastry to envelope the salmon. Bake in the oven for 20-25 minutes until the pastry is deep golden brown. While the Salmon is cooking, boil or steam the carrots and Beans until tender. When cooked drain well and quickly add butter and lemon juice. and arrange the vegetables to the side. Pour the butter/lemon sauce over the veges.